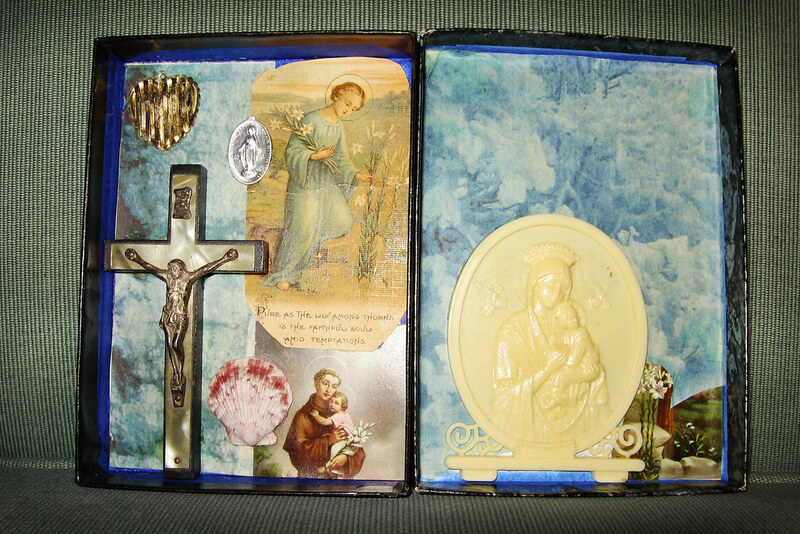 I made the collage in a small box to be used as a personal shrine when traveling. I love religious imagery, and I have been giving a lot of thought to it over the years. I found the small gold-colored heart on my street after my neighbor's rowhouse caught on fire - it is not his, but I added it to mourn his cats who died and his losses of belongings and paintings.